Kris Wolf definitely took the road less traveled on her journey to becoming a pro wrestler. Formerly a freelance photographer in San Francisco, she traveled to Japan on a whim and ended up relocating there. While working as a teacher in Japan, she discovered pro wrestling, fell in love with the sport, and now -- less than three years after her in-ring debut -- Wolf is the High Speed Champion for Stardom, the premier women’s professional wrestling organization in the world. Wolf will make her Women of Honor debut at Best in the World weekend in Lowell, Mass. On Friday, June 23, she’ll team with Sumie Sakai to take on Deonna Purrazzo and Mandy Leon in a tag match prior to the pay-per-view. The next night, Wolf will face Sakai as part of the Women of Honor television special taping. ROHWrestling.com caught up with Wolf to discuss her career path and first appearances for Women of Honor. ROH: What led you to leaving behind your career as a photographer in San Francisco to live in Japan? KW: I was engaged but we broke up and I went to Japan to get away and clear my head. I rented a bike and a tent and cycled for 20 days through the mountains and forests of Japan. After intense isolation and reflection, I figured "[screw] it," and got a job as an English teacher to stay in Japan. ROH: What made you decide to pursue a career in pro wrestling and how did you get started? KW: I wasn't feeling the teaching gig after a year and a half, and I started soul-searching. Someone suggested I check out pro wrestling, and I found Stardom on YouTube and fell in love. I found the main site and emailed the promoter on how to become a pro wrestler. After a meeting and seeing a show live, I was invited to train with other noobs. When they felt we were ready they would offer us a test, and if we passed we could debut as wrestlers for the company. ROH: Who trained you and how long did you train before making your in-ring debut? KW: I was trained by [Stardom general manager] Fuka Kakimoto, and later Nanae Takahashi and Io Shirai. I trained for six months before my debut. ROH: How would you describe your in-ring style? KW: Hungry and full of kicks and knees for beautiful faces. ROH: Tell us about the origin of the Oedo Tai faction you’re a member of in Stardom. KW: It was actually founded on a wager made by Act Yasukawa and Kyoko Kimura -- the leader of the Monster Gun at the time. If Act won, the Monster Gun would disperse; if Kimura won, Act would join the Monster Gun. It was a six-woman tag match: Act Yasukawa, Heidi Lovelace and Dragonita versus me, Kyoko Kimura and Hudson Envy. Hudson pinned Heidi, and Kimura offered Act a compromise: The Monster Gun would be no more and Act could be the leader of a new group. Oedo Tai was born that day. 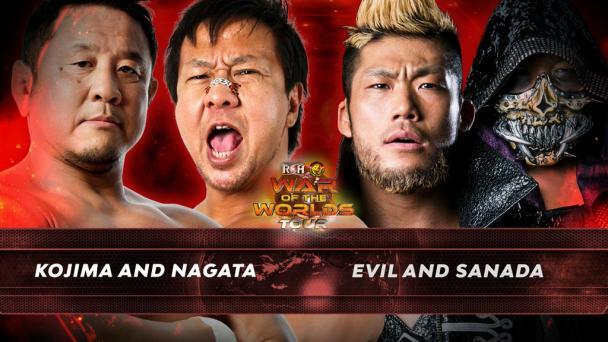 ROH: In addition to Japan, you’ve also wrestled in Europe. Is this your first time wrestling in the U.S.? KW: I wrestled in the U.S. two years ago for Stardom's USA’s first U.S show, but this is my first time out on my own. ROH: What are your thoughts about making your Women of Honor debut? KW: I'm super-excited to see what it's like out here on the East Coast and, of course, testing myself against the best of WOH. ROH: How familiar are you with the competitors you’ll be in the ring with this weekend? KW: I've assisted Sumie as a second when she was in Japan but we've never faced off. Deonna and I have met before in the ring when she was at Stardom. She's talented and tasty. I've yet to meet Mandy but she also looks delicious. ROH: Are there any other competitors in ROH that you’d like to face? KW: Everyone. I want a bite out of them all. 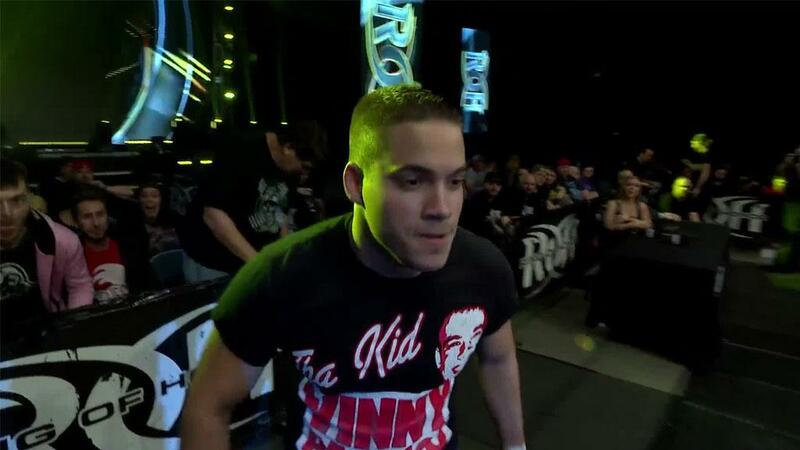 ROH: Any final words for the fans? KW: All your meat is mine.